This possibly season-limited special drink is available in most parts of Japan. 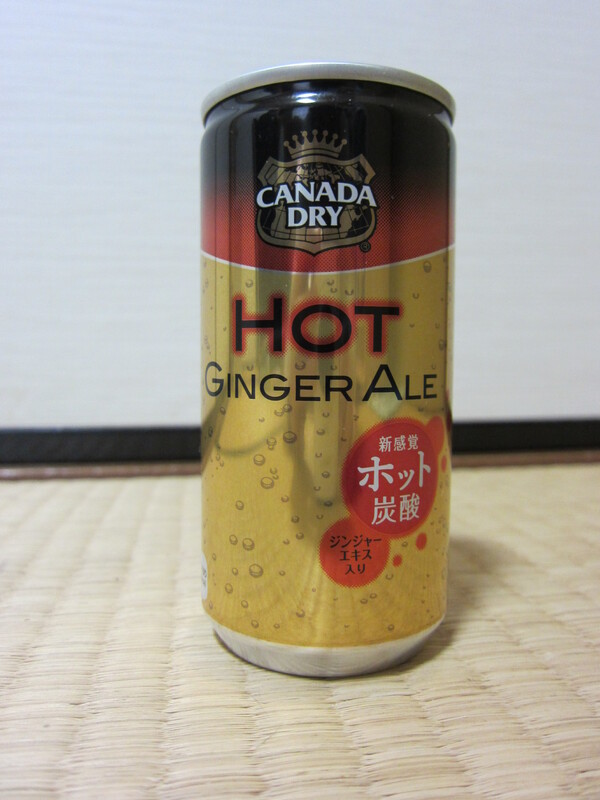 Hot Ginger Ale is produced by Japan Coca Cola. Ginger Ale did not originate in Japan, however this Hot version Ginger Ale is definitely a Japanese invention, which is enough reason to try it. Check the following YouTube Video. It is a TV commercial for this product. Hot Ginger Ale is very strange itself but this CM is even more strange. Most convenience stores and supermarkets sell this product for 120 yen.